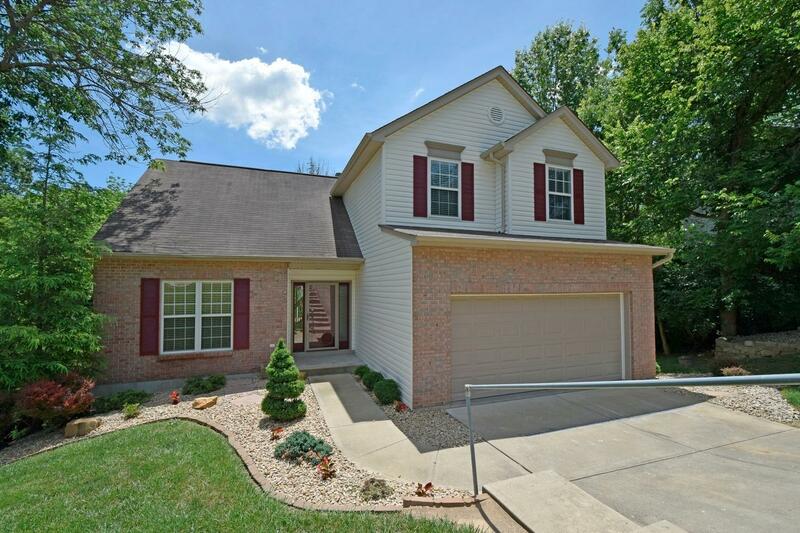 Beautiful family home w/private, wooded backyard! Open, vaulted great room/kitchen/DR. Kitchen w/nice cabinets & big pantry. New wood flooring on first floor! 2 big bedrooms upstairs w/large closets; nice-sized sitting area for desks/TV. Basement w/walkout to patio. New HWH & newer insulated garage door. One year home warranty included! This listing courtesy of Leslie Hohulin (812) 584-5168, Comey & Shepherd 513-367-3650.